I have an attribute table with two empty fields in QGIS. I want to import an excel database to fill my empty fields in QGIS. 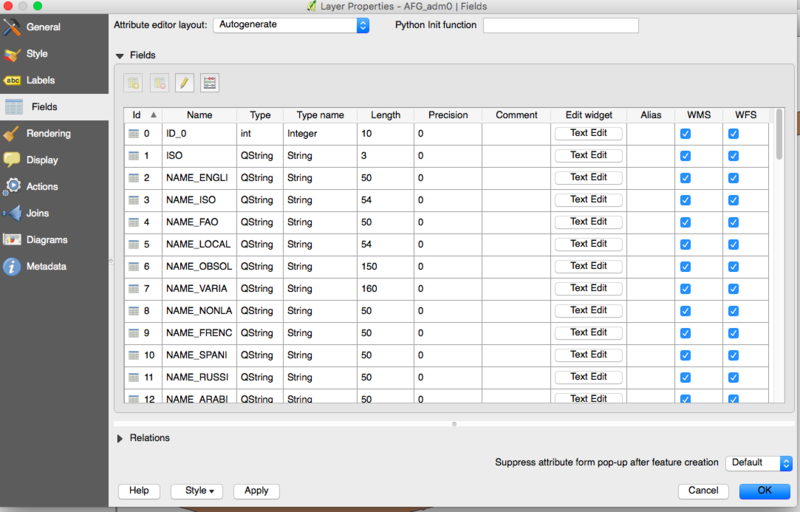 My excel file matches the columns in my QGIS attribute table. I am able to properly join my excel (.CSV) to my shapefile. However,the process, instead of filling the blank fields as I wish, created duplicates. With the help of « Table Manager » I am able to correct the situation, but it requires a lot of time. I am looking for a more efficient way to join my excel data. How can I join my excel file to my attribute table without creating duplicates? Before you do this, make a backup of your shapefile. 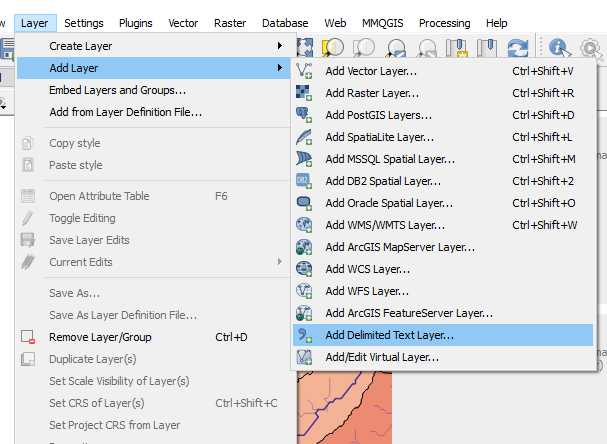 In your shapefile, go to the layer properties / fields and turn on edit mode. 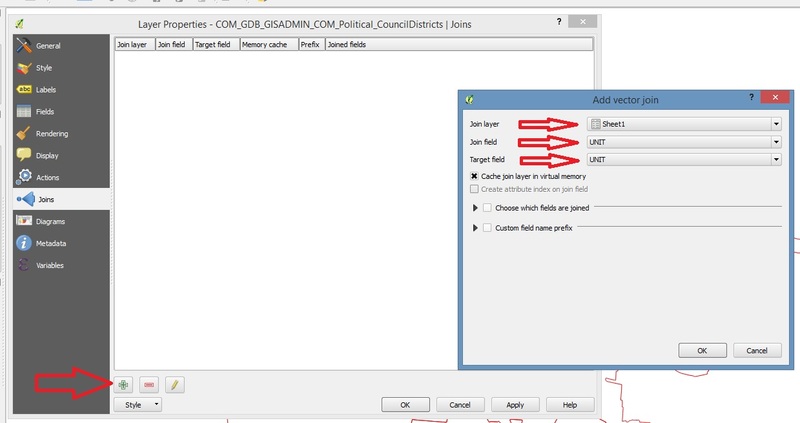 in your shapefile, select properties/joins and choose both ID fields for source and target. As described in the other answer to this question. You will want to join the excel file to the shapefile. 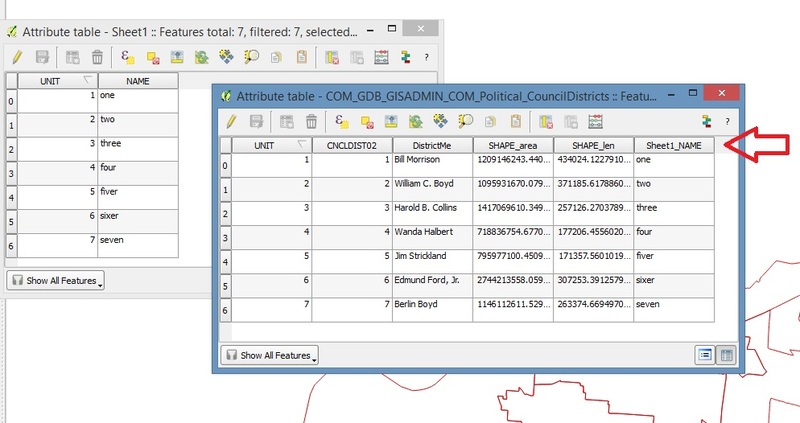 You will join them on a common attribute and the result will be a joined layer where each record hold the attributes of both the shapefile and the excel file. Ok first you load your excel file and your vector later into the layers. I used some test data I made but your setup should look similar to below. There are a few other options you can mess with on the join, like if you only want to see certain fields, etc... anyway so now they are joined and if you go back and look at the attributes of the shapefile you will see it now has the corresponding attributes of the excel file like below. How to join external tables with a shapefile's attribute table in QGIS? and the tutorial ArMoraer mentioned in the comments. 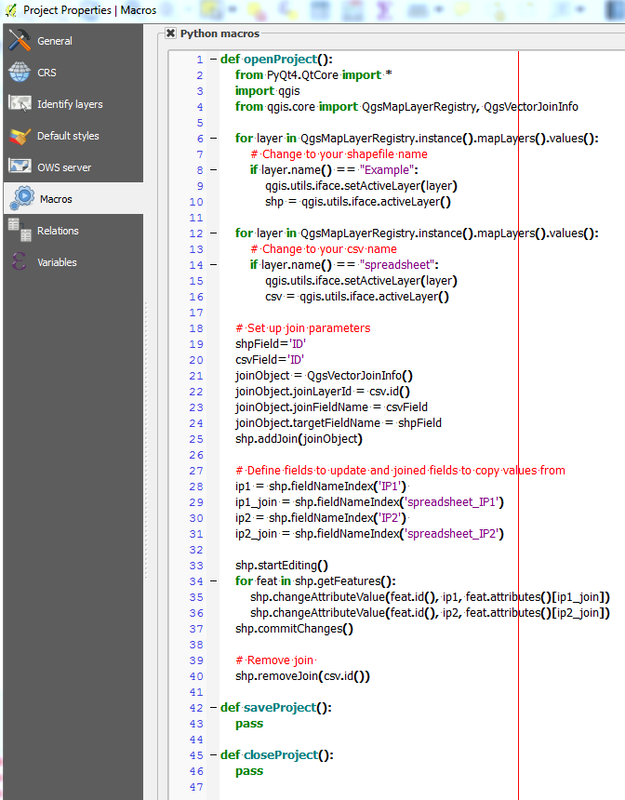 Open file in Libre Office / Open Office. Paste to "Excel" sheet data from your excel file. Paste to "DBF" sheet data from your .dbf file (paste only ID, X, Y) (IP1, IP2 values will be added automatically). Save as name.dbf file (where name is the same like your shape file name). Why are the empty fields there to begin with? Can you start without the empty fields and just use the two columns produced in the join? I think this is the simplest approach. Either that or find a tool similar to the "Load" tool in ArcGIS. If you are not using a geodatabase, I highly recommend this. I believe the easiest way to fix this would be to simply delete the two columns in question in the QGIS table before the join. Then, when you join the shapefile, the two columns you want will not be duplicates and will keep their original column names. Not the answer you're looking for? Browse other questions tagged qgis attribute-table attribute-joins excel or ask your own question. Performing specific table joins in QGIS via python? Joining .csv to attribute table in ArcMap? Joining attribute table with excel file in QGIS?